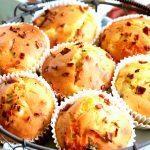 Gluten-Free Bacon, Egg and Cheese Muffins have all of the flavors of a big hearty breakfast packed into a muffin. They are super easy to make and are perfect for a grab and go breakfast. I make a lot of muffins for my family for breakfast and for snacks. Most of the time I make sweet muffins like my Easy Gluten-Free Blueberry Banana Muffins. Lately, I’ve been craving a bacon, egg and cheese biscuit. 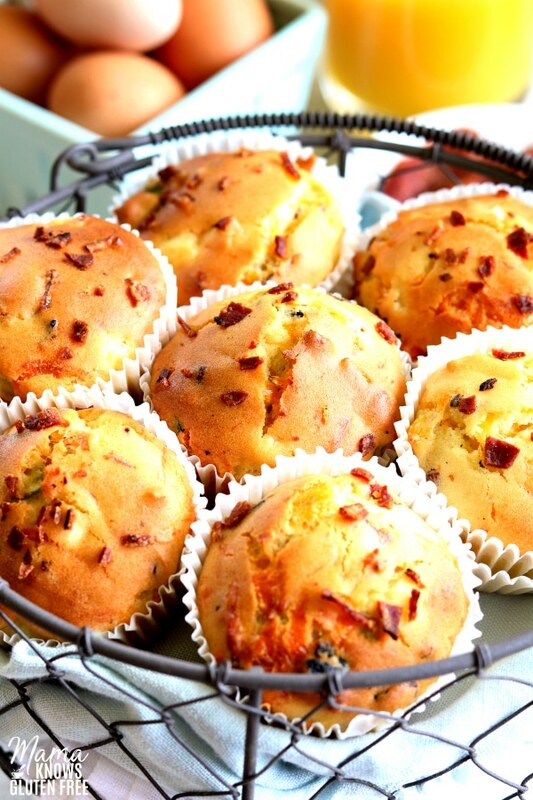 Biscuits can be a little time consuming for a busy morning, so I made these bacon, egg and cheese muffins instead. They are super easy to make and the muffin batter is a one-bowl wonder! These muffins are super easy to make, but they do take a little bit of prep work. I always start my pot of water without the eggs. I only add the eggs once the water is boiling. I boil the eggs for 13 minutes and then immediately put them in ice water to cool down. I also like to chop up the bacon before I fry it. I find it helps the bacon cook faster and you have a more uniformed crumbled bacon pieces also. 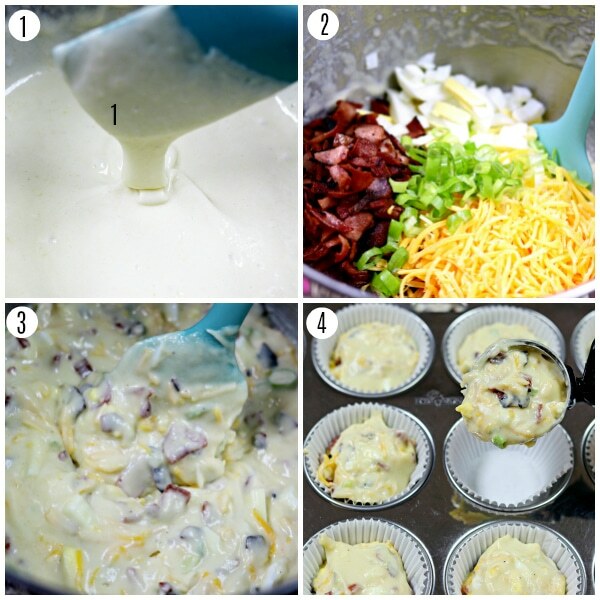 You will need to boil two eggs and cook your bacon before making the gluten-free muffin batter. These muffins can be stored in an airtight container or frozen for later. 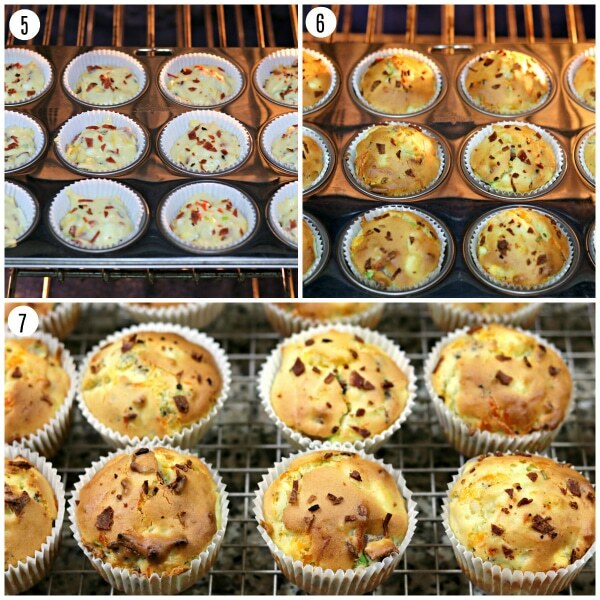 My family absolutely loved these bacon, egg and cheese muffins! They can be easily made ahead and frozen too. 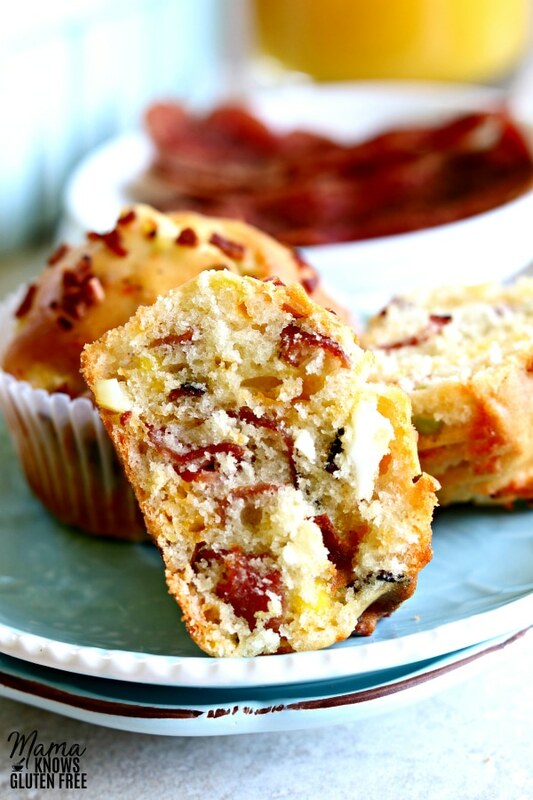 These bacon, egg and cheese muffins have all of the flavors of a big hearty breakfast packed into a gluten-free muffin. Perfect for both busy mornings and brunch too! Looking for more gluten-free muffin recipes? 1 cup buttermilk To make your own buttermilk add 1 tablespoon of white vinegar to the milk and let sit for a few minutes. Add water to a small pan and bring to a boil. Place 2 eggs in the pan and boil for 13 minutes. Once the eggs are finished cooking place the eggs in a small bowl of ice water in the refrigerator. I like to cut the bacon into small pieces before I fry it. In a large pan cook the bacon until crispy. Remove the bacon from the pan and place on a paper-towel-lined plate. In a large bowl add the gluten-free flour, sugar, xanthan gum (leave out if your flour already has it), baking powder, baking soda, and salt. Give it a good whisk/stir to combine the ingredients. Add the eggs to the dry ingredients and mix until fully combined. Add the melted butter and buttermilk to the muffin batter and mix until fully combined. To make your own buttermilk add 1 tablespoon of white vinegar to the milk and let sit for a few minutes. Chop the green onions and the hard-boiled eggs. 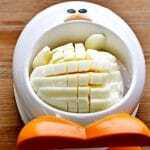 I like to use a hard-boiled egg slicer. I cut the egg both ways to get an easily chopped egg. Start by adding the egg vertical and slice and then turn it horizontal and slice. A perfectly chopped egg every time. Bake for 25-30 minutes. Please watch your muffins because every oven is different. Use a toothpick to check and see if the centers are done. Enjoy! These muffins can be kept in an airtight container or frozen for later. 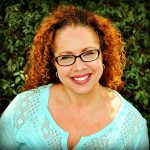 what do you do with the cup of melted butter?